The Missouri Heights Community League is a non-profit organization formed in 1963 to preserve and maintain the historic character of the one-room Missouri Heights Schoolhouse and surrounding property. In 1998, the schoolhouse was listed on the registers of both the Colorado and National Historical Societies. 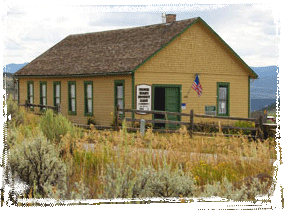 In 1999, the League received a grant from the state of Colorado, and, supported by additional community funding, extensive historic renovation on the schoolhouse began. Renovation was completed in 2002. Today, as the old, historic ranches are being sold to make way for residential development, the schoolhouse serves as a vivid reminder of the ranching and farming traditions that once existed in Missouri Heights. To manage and care for the schoolhouse site, historic artifacts and grounds and provide a venue for community gatherings as originally intended by the founders.